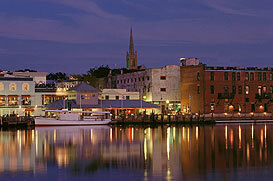 While on Vacation plan to visit many great restaurants, attractions, sights and shops in and around Wilmington! Below are just a few recommendations that we’re sure you just won’t want to miss! Historic Downtown Wilmington , just a short 15 minute drive south on HWY 17. Brick Cobblestone streets, sunsets over the river and sidewalk cafes add to the charm of this historic riverfront town. View the sites from a horse drawn carriage or take a guided tour with knowledgeable area guides. Take the self guided tour of the Battleship USS North Carolina or take a cruise on the Henrietta III, North Carolinas largest riverboat. Historic downtown also offers two themed shopping complexes: The Cotton Exchange and Chandlers Wharf. Located only 15 miles from Figure Eight Island. Mayfaire Town Center, 6835 Conservation Way. 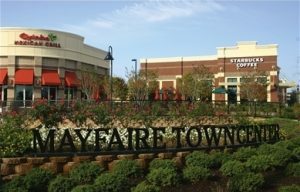 Enjoy shopping at Mayfaire Town Center with over 65 shops to choose from. Whether you spend one hour or one day indulging in the shopping choices at Mayfaire, you’ll see what they mean when we say we’re “anything but ordinary”. Come to Mayfaire, and enjoy this seasons hottest new movies! At Regal Mayfaire Stadium 16, you’ll experience cinema at its best! Enjoy Music on the Town in the Mayfaire lawn May thru the end of July, every Friday night starting at 6pm. Located approximately 8 miles from Figure Eight Island, between HWY 74/Eastwood Road and HWY 76/Military Cutoff Road in Wilmington. Lumina Station, 1 900 Eastwood Road. Discover a charming collection of locally owned boutiques, distinctive restaurants and cafes. Shop. Dine. Relax. 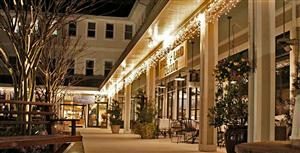 Stroll beneath the oaks at Lumina Station and explore something special at this shopping village by the beach. Winner of Coastal Living magazine’s first ever award for contextual design, Lumina Station’s beautiful landscaping, whimsical sculptures and storybook bridges make for a truly unique shopping experience. Enjoy this one of a kind atmosphere, where good times are a local tradition. Located on Eastwood Road approximately 10 miles from Figure Eight Island. 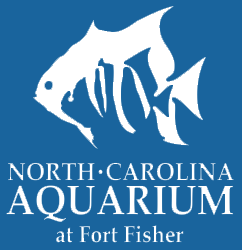 North Carolina Aquarium at Fort Fisher, 900 Loggerhead Road, Kure Beach. Everyday mak e new discoveries at the Aquarium’s free programs. Talk to divers swimming with sharks, rays and eels. Make a new friend during an animal encounter. Watch animal feedings. Touch sea stars, horseshoe crabs and even sharks! Explore more with behind the scenes tours, outdoor adventures, classes camps and more. Located in Kure Beach 15 miles south of Wilmington US 421, 29 miles from Figure Eight Island. Karen Beasley Sea Turtle Rescue, 822 Carolina Blvd, Topsail Beach. The Karen Beasley Sea Turtle Rescue and Rehabilitation Center treats sick and injured sea turtles. 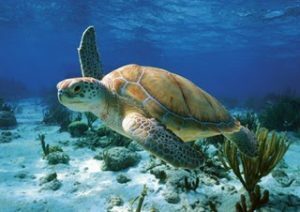 In addition, as a part of the Topsail Turtle Project, they protect and monitor sea turtle nesting on the beaches of Topsail Island. They offer educational tours to the public five days a week. The tours are free, but donations are always appreciated! The Turtle Rescue Headquarters is located in Topsail Beach, approximately 29 miles from Figure Eight Island. The Official Visitors Guide to Wilmington NC. From the historic river district and Riverwalk that winds around the storied Cape Fear River to our colorful island beaches, there’s something about the water here in Wilmington, N.C. and our beach towns, that speaks, surrounds and transforms visitors. As North Carolina’s most accessible coastal destination, the area’s location, natural beauty, culture and history all charm visitors and residents alike making it the ideal place to let go, give in and get away for a vacation or weekend.